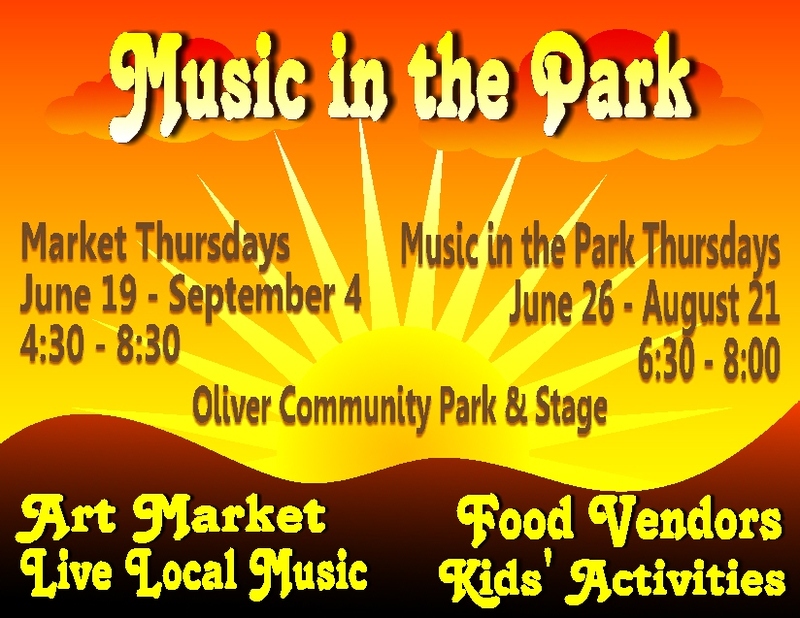 Artisans, artists, and food vendors are encouraged to register their booth for Oliver’s Music / Art Market in the Park on any Thursday evenings from June 21 – September 4, 4:30 – 8:30 p.m. at Oliver Community Park. Come once, or come all summer. A joint collaboration of the Oliver Community Arts Council and Oliver Parks and Recreation. We want to grow this into the best sunset festival in the valley! Come grow the event with us! Register here: Oliver Art Market Vendor Form and return to the Oliver Parks and Recreation office. The Penticton and District Arts Council runs Art under the Trees on the 100 block of Main Street on Saturdays from 8:30 – 1 p.m. until the Labour Day weekend. A comprehensive registration package is available here: Art Under the Trees Penticton Application More info is available at Leir House: 250-492-7997 or artisan220 @ hotmail.com.